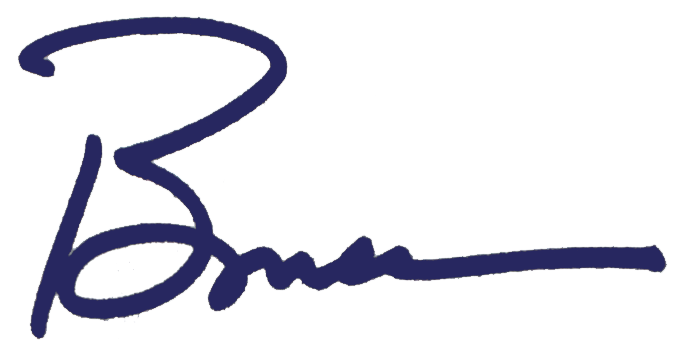 Our community and our government depend on the active involvement of “the people” for support and vitality. They are volunteers, committee members, coaches, mentors and voters. Two gatherings this week were great examples of the importance of actively engaging with the people we serve. The first meeting was held last Sunday night at the Greenwater Fire Department. 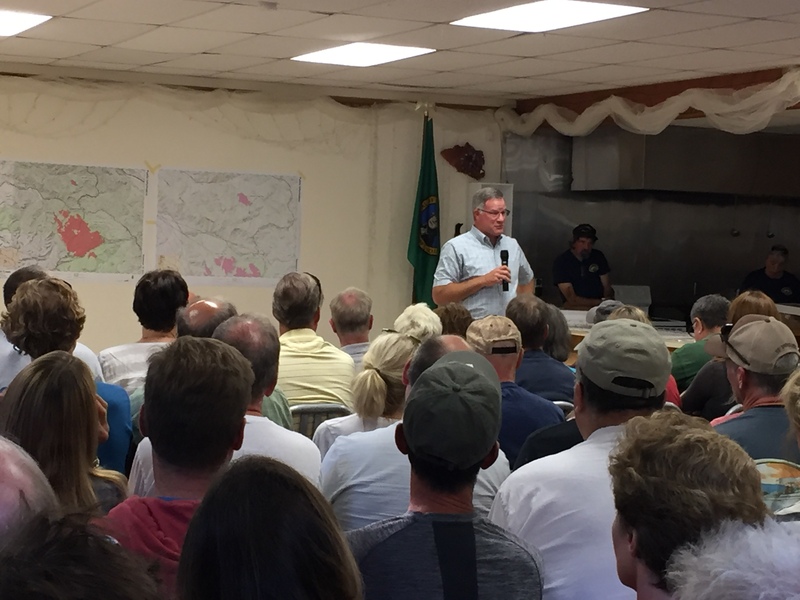 About 150 local residents gathered to hear the latest information about the Sawmill Creek and Norse Peak fires that threatened their homes. The Incident Command team did a great job explaining the steps the firefighters had taken to protect the region and what they could expect in the hours and days ahead. I’m glad I had the chance to be part of that community meeting. I watched them come together to support each other, ask questions of and express appreciation for the local firefighters, as well as those from California. Another important meeting took place this week. On Tuesday afternoon, the County Council met to discuss and vote on the Master Site Plan for Chambers Creek Regional Park. The site plan is updated every ten years and the 2007 version featured many suggested changes. The most controversial change proposed to the Council was to include long-term rentals at the planned-for golf resort. Although the “golf villas” had been included in the original development proposal chosen for Chambers Bay, the concept had recently generated strong opinions and fears about the potential impact on the park. I think it’s fair to say that the vast majority of those who packed the Council chambers on Tuesday were opposed to what they understood to be “permanent housing” at Chambers Bay. They spoke with passion and concern about what they perceived to be intrusive and damaging development on the park they love. I’m grateful for members of the community who take time out of their busy lives to come to Council meetings and voice their opinions. The Council ultimately voted to allow extended stay villas to be included in the site plan and the work is now beginning to negotiate with the resort developers to ensure that the park, golf course and the natural environment are preserved, protected and enhanced. Does that mean that all of those who spoke before the Council wasted their time? Absolutely not! As we go through this next phase of the project you can be assured we will continue to keep “the people” informed, involved and connected with the county. P.S. 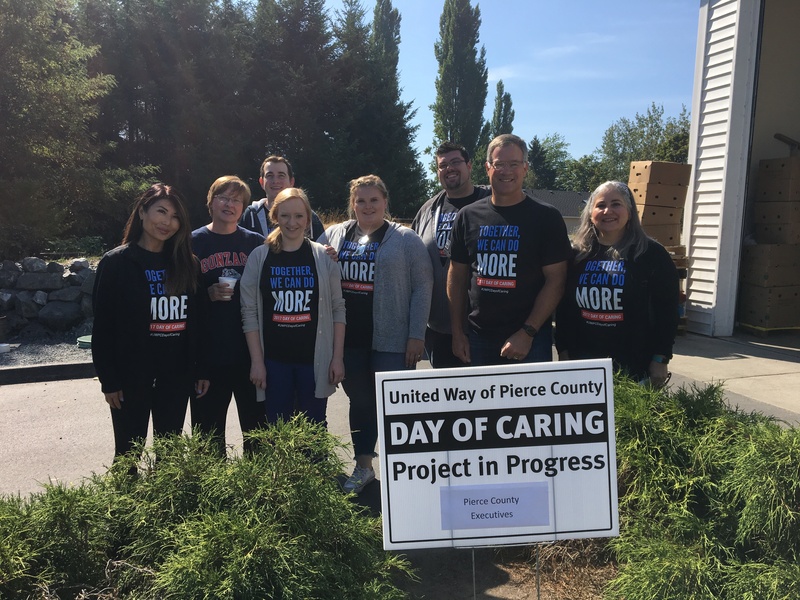 A few folks from the 7th floor of the CCB spent this morning volunteering as part of the United Way Day of Caring. We had a ball repacking frozen peas and rice at the Nourish Pierce County food bank in Edgewood.